Sloan and Crosby (aka the Calleshire Chronicles) is a series of crime fiction/mystery novels by English novelist Catherine Aird. “Sloan” is Detective Inspector Christopher Dennis Sloan (aka “Seedy”). Sloan is married and enjoys growing roses in his spare time. “Crosby” is his hapless sidekick – Detective Constable William Crosby. 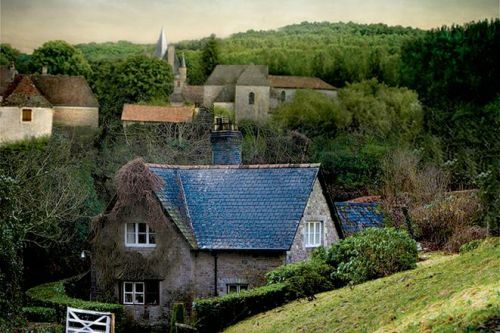 The series is set in Calleshire, a fictional county based on Kent. Note: The novel The Complete Steel was also published under the title of The Stately Home Murder. Sloan and Crosby Synopsis: In The Religious Body by Catherine Aird (book 1 in the Calleshire Chronicles), Inspector Sloan must find out who could have thrown a nun named Sister Anne down a set of cellar stairs. The witnesses are over 50 discreet, identical-looking nuns – each with an assumed name and a past secular life.